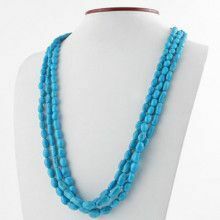 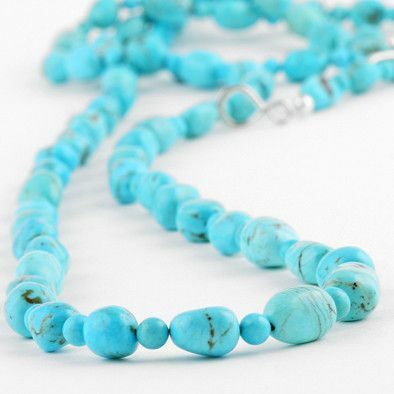 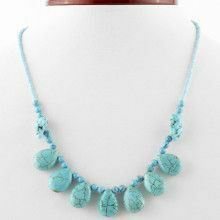 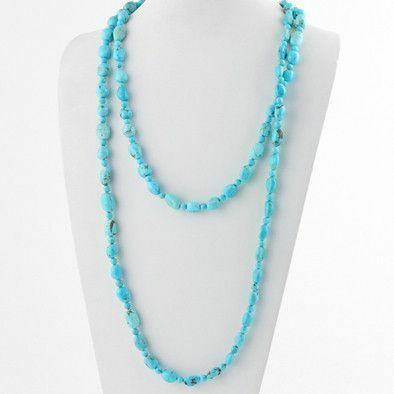 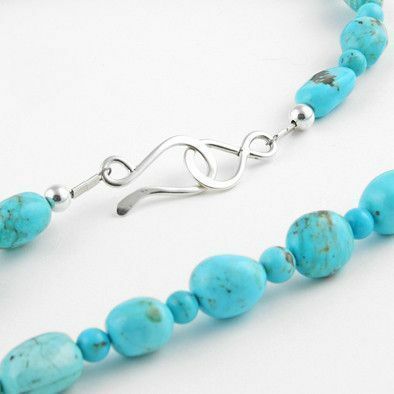 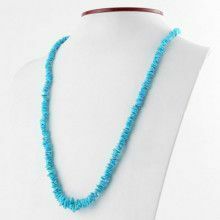 This genuine Turquoise beaded necklace is a timeless piece that really showcases the beauty of the stone with "veins." 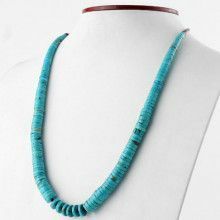 This turquoise comes from the American Southwest, and is fashioned into a great beaded design with alternating round beads and larger irregular shaped beads. 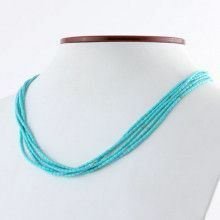 The 60" necklace is finished off with a modern sterling silver clasp. 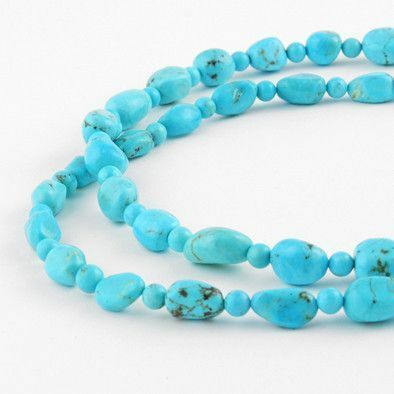 Small round beads are about 3/16"